To avoid freezing to death, a trucker disobeys company orders. Judge Neil Gorsuch sides with the company. The PDF of the Tenth Circuit Court’s ruling is referred to in this article by the abbreviation “TCC:3-4” (in this example, referring to pages 3 to 4). UPDATE: Clarified the second-to-last paragraph based on reader feedback. UPDATE 2: I created a video where I talk about this article. UPDATE 3: Additional the “narrow and myopic” paragraph. Somewhere in Illinois, at 11 o’clock on a freezing night in January, 2009, Alfonse Maddin pulled his tractor-trailer over to the side of the road. He reported to his company that the brakes on his trailer had frozen, he was running out of gas, and the heater in his cabin had stopped working. The company told him to wait an hour for a repair crew. Two hours later, he was awakened by a phone call from a family member, only to discover that his limbs and torso were going numb (TCC:3-4), he was having difficulty breathing, and his speech was becoming slurred. According to Mr. Maddin, “My skin was burning and cracking.” It was -7°F inside the truck cabin and -27° outside. When I stepped out of the truck I was concerned that I may fall because I was on the verge of passing out. I fear that if I fell I would not have the strength to stand up and would die. I walked to the back of the trailer to place a lock on the cargo doors. The distance that I walked to the back of the trailer seemed like an eternity, as my feet absolutely had no feeling at all. Despite orders not to, Maddin detached the trailer, drove for gas, warmed his body, and returned within thirty minutes. By this point, the repair crew was working on the trailer and they ultimately fixed the heater as well. Maddin proceeded to complete his route. Maddin is fired and is not vindicated until seven years later. One week later, Maddin was fired for abandoning his cargo and disobeying superiors. He filed a complaint with the Occupational Safety and Health Administration (OSHA), which was dismissed. The Department of Labor then ruled in his favor, and the company appealed the decision to the Tenth Circuit Court. The company acknowledged that operating the (entire) vehicle under these conditions would have been unsafe. Had Maddin refused to operate it, TransAm Trucking would have been unable to legally terminate him under this statute. But he didn’t refuse to operate the vehicle; he operated the vehicle. Maddin felt that operating it (the cab only) was the only safe option, but because “operate” is not a permitted or protected action under the statute, the company claimed the right to fire him. In August of 2016, the court ruled in Maddin’s favor, deciding that his dismissal was illegal and in violation of whistleblower protections. Specifically, they found that his choosing to operate the vehicle in a safe manner was his way of refusing to operate it unsafely. Two of the three justices on the Tenth Circuit Court ruled in Mr. Maddin’s favor. 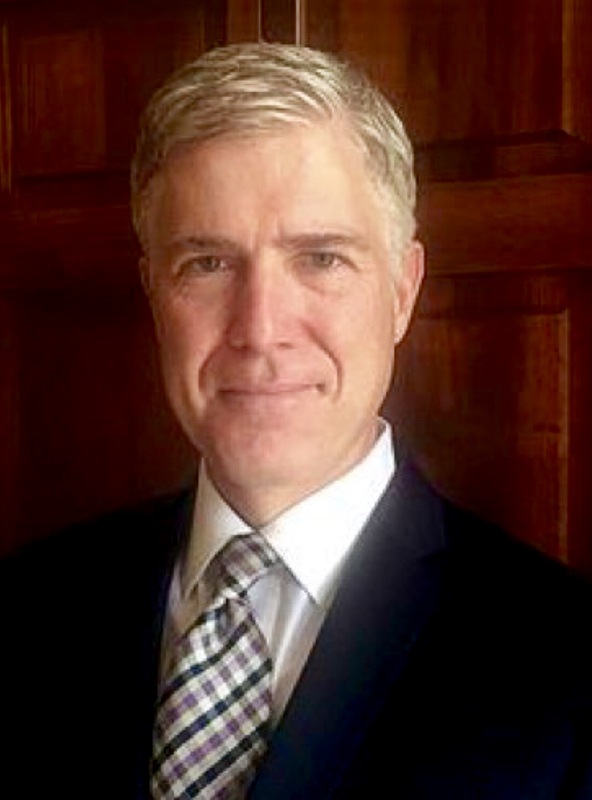 The dissenting judge was Neil Gorsuch, President Trump’s nominee for the currently-vacant ninth seat on the Supreme Court of the United States. In his dissent, Gorsuch acknowledges (TCC:19) that the option of dragging the trailer is “an illegal and maybe sarcastically offered option.” He also acknowledges that the only other option, which Gorsuch describes as “legal if unpleasant,” is to continue waiting. Further, Gorsuch states that TransAm “permitted him to sit and remain where he was and wait for help,” as if waiting to die was only one of several options afforded to Maddin by his superiors. My colleagues suggest that the Department should be permitted to read the statutory phrase “refuse to operate” to encompass its exact opposite and protect employees who operate their vehicles in defiance of their employers’ orders. It might be fair to ask whether TransAm’s decision was a wise or kind one. But it’s not our job to answer questions like that. Our only task is to decide whether the decision was an illegal one. The letter of the law placed Mr. Maddin in a situation that was both absurd and impossible. He had exactly two options, both of which, from Maddin’s point of view, were a clear and present danger to himself or to others. One was to stay with his cargo and potentially die of hypothermia. The other was to drive under frozen conditions, dangerously impaired by oncoming hypothermia, dragging the trailer with its brakes constantly applied, at 10 to 15 miles an hour, while other vehicles traveled around him at 75 miles an hour. In addition, Gorsuch’s focus on “refused to operate” is narrow and myopic. The intention of the law is to prevent harm. Its ideal wording would be “refused to operate the vehicle unsafely,” where emphasis is placed on “unsafely,” not “refused.” Whether that harm would be caused by operating or not operating, or done with the whole truck or part of the truck, is not important. The majority justices criticized Gorsuch’s dissent as “simply choosing a favorite dictionary definition of the word [refused]”, to essentially rule in whatever way is desired (TCC:11). Gorsuch consistently elevates this kind of secondary detail to the primary one. What this means is that, to Neil Gorsuch, the precise and literal letter of the law is more important than the human condition. This is especially true when doing so benefits big business by ignoring the spirit of laws which are intended to protect the individual. The case of Alphonse Maddin is only one example of a judge who consistently interprets the law in favor of corporations and the powerful, whose decisions advance conservative beliefs (see the executive summary), and who “dismiss[es] claims asserted by people of color, women, and disabled people” (Maddin is African-American). After forty years of corporate-friendly rulings, putting Neil Gorsuch on the Supreme Court will only be a further blow to individual rights. Discussion about this article on Reddit/Politics. Previous Post: Despite bad reviews, director blames Rotten Tomatoes for his movie not being even more successful than it was. Next Post: Video: To avoid freezing to death, a trucker disobeys company orders. Judge Neil Gorsuch sides with the company.